Barry Bonds after having a long drawn out court battle that cost millions of taxpayer dollars has been convicted of a felony. He is now a felon. His case was laughable, especially since he was caught by a drug test red handed. This goes to show how far money hungry attorneys are willing to go. Why would I post about this here on my conspiracy blog? 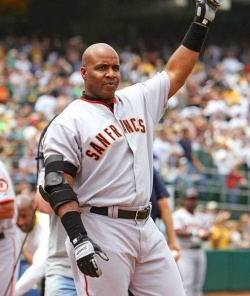 Well when Barry Bonds was leaving the courthouse he flashes a 'V For Victory" sign that further will be used to criticize the V for Victory movement, or as I should say the Alex Jones movement. Alex Jones is a talk show host that speaks about anti-Establishment ideals, and is a great source for alternative news. Should you trust everything Alex Jones says? Absolutely not. You should not trust 100% of what anyone says. Do your own research. I think Alex Jones is a good step for the average joe, to get a kick start in learning about the terrible things that are happening both in this country and abroad. The main question though about Alex Jones, is that if he is such a whistle blower, and has infultrated highly secured areas such as Bohemian Grove or the Bohemian Club, then why hasn't he been killed yet? Is it because the globalists know what he is releasing and approves of it? 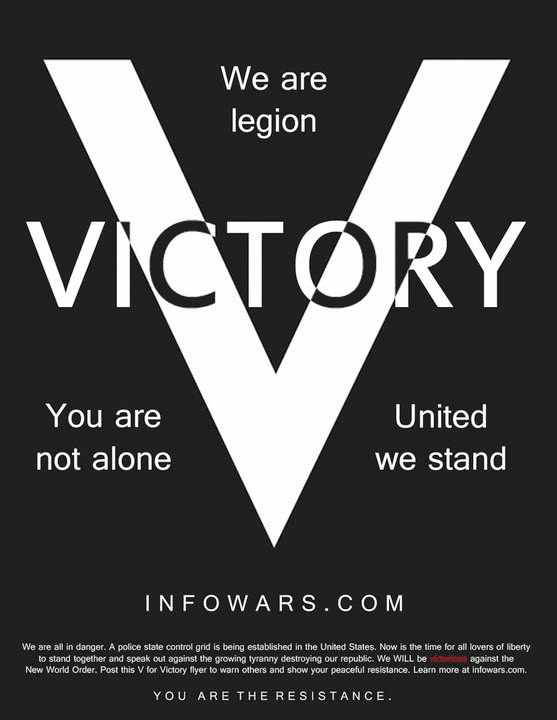 Is Alex Jones another pawn for the New World Order? He very well could be. After all he admits many in his family were Freemasons. Some of his family could even still be associated with the Freemasons. The point is why would Barry Bonds flash a sign for this movement after being convicted? Was it part of his bargain with his attorney to get a lesser sentence? Are the globalists promoting Alex Jones' movement? I think it is very possible. Even though Barry Bonds holding up a sign after becoming a felon, isn't exactly the best press, but lets not forget the old saying, no press, is bad press. 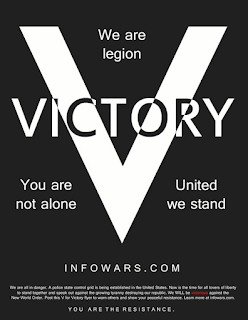 Imagine how many news papers are going to talk about the "V For Victory" sign, and who Alex Jones is. Alex Jones has been on The View already. He is getting even more popular. You have to ask yourself, why would the globalists allow this to be so? Especially if they are so ever controlling. This is an important question. Like Alex Jones says with republicans and democrats, they are all different parts of the spectrum, both equally controlled. The same could be said for his radio show. Please leave comments below.